Samsung have revealed their new flagship smartphones the Samsung Galaxy S9 and S9+ (S9 plus) today at the Mobile World Congress in Barcelona, Spain. These new phones have many updated features including camera, performance, design and more. 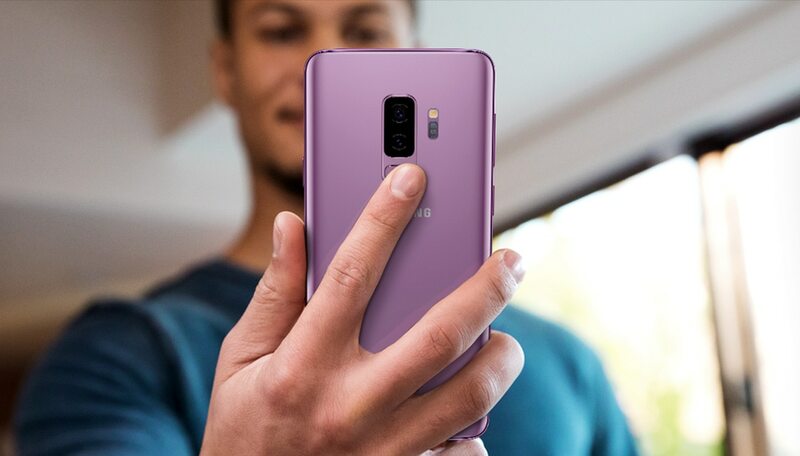 The new Galaxy S9 and S9+ have a beautiful design that’s made to fit comfortably in your hand. The camera sits flush with the back and the fingerprint sensor is ergonomically placed to let you unlock the phone easily. With the infinity edge-to-edge display the screen curves over the sides for a full-frontal glass, edge-to-edge screen. 8] Measured diagonally, the Galaxy S9 screen size is 5.8” as a full rectangle and 5.6″ when accounting for the rounded corners, the Galaxy S9+ screen size is 6.2″ as a full rectangle and 6.1″ when accounting for the rounded corners. The 18.5:9 display ratio gives you a all round view. 7] The stereo speakers tuned by AKG and enhanced with Dolby Atmos give pure surround sound. There is no question that Samsung have improved the performance of their new smartphones and there have been a few new enhanced features added. There is better security like Samsung Knox that protects your sensitive data from prying eyes and it is built into the phones chip. 6] You can access your phone easily with face recognition and iris scan. When face recognition needs help, iris scan kicks in to verify you—and vice versa. So your phone can identify you even in low light. You can open with a look, a tap, a pattern, password, or a PIN. There’s a wide range of options you can use to keep your phone locked until you want it. The S9 and S9+ are water resistance and have wireless charging as standard. The Galaxy S9 and S9+ have an IP68 rating which means you don’t have to be afraid to get them them wet. IP68 water resistant up to 1.5 meters from up to 30 minutes. 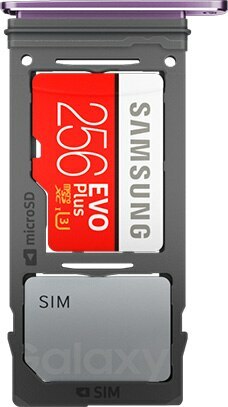 5] When you need more storage for all your data, simply insert a microSD card for up to 400GB of extra space. 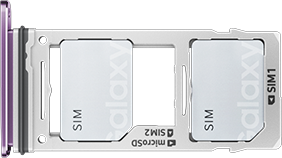 4] You can have 2 sim cards in the Samsung Galaxy S9 and S9+. Have your normal SIM or a separate work sim in the same phone. 3] Wifi and connectivity speeds are not an issue with 4G speeds up to 1.2Gbps, you can stream very smoothly. You can now turn your selfie into an emoji. Create an animated version of yourself then get your message across with an emoji that follows your movements and expressions. 2] Take photos no matter what time of day with the 12mp rear cameras. With two f-stop modes, the category-defining Dual Aperture adapts to bright light and super low light automatically. If it’s dark, the lens opens to F1.5 mode to pull in light for a bright and clear photo. In the daylight, the lens shifts to F2.4 mode to help your picture come out sharp. Shoot at incredible speed: 960 frames per second. You can even add a slow mo masterpiece to your lock screen. When you’re shaking due to unstable surroundings your photos will still come out sharp thanks to optical image stabilisation (OIS). With live focus your pictures will pop when you bring faces to the front. To store all your photos and videos you get unlimited storage from Google Photos. It has the latest Qualcomm Snapdragon 845 chip along with Bixby. 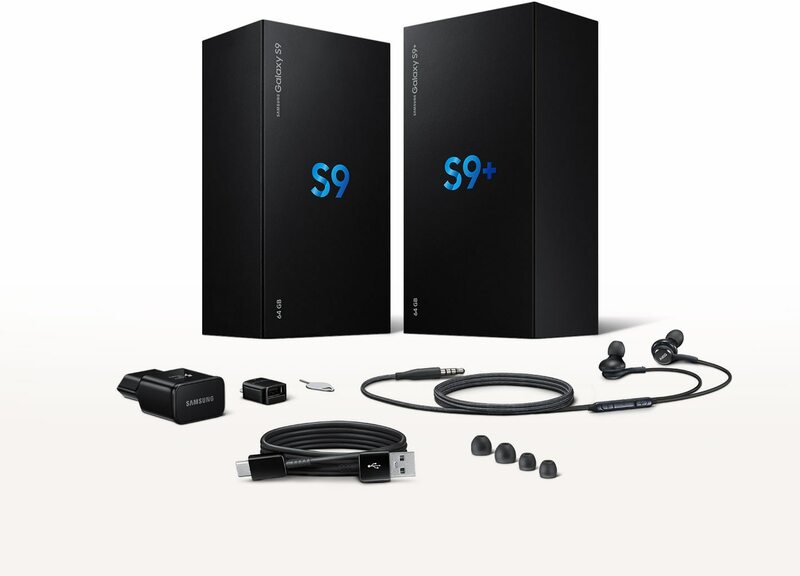 1] Preorders for the S9 and S9+ begin Friday, March 2, 2018. Retail stores will start carrying the new models on March 16, 2018. The S9 will start at $719 (£739) unlocked, while its larger Plus-sized sibling will go for $839 (£869) with a choice of 3 colours.